Does she look normal to you? 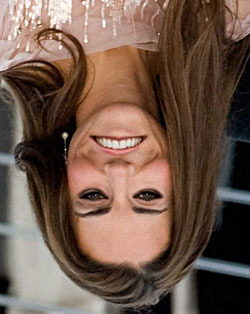 The Thatcher Effect, also known as the Thatcher illusion, illustrates that the brain can't properly process a photo of a face that is upside down. The interesting part is that the brain thinks it can so you get a confident feeling that everything is alright, until you turn it over. 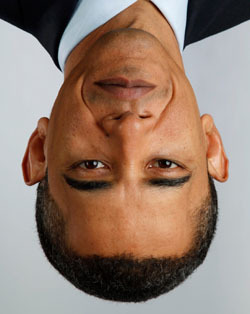 Once it's right side up the way your brain is used it, it becomes quite obvious that something is wrong. 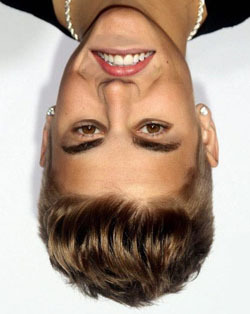 In fact what you see is that the mouth and eyes are upside down. The illusion is named after Margaret Thatcher, former British Prime Minister, because her photo that was used to famously illustrate the illusion.